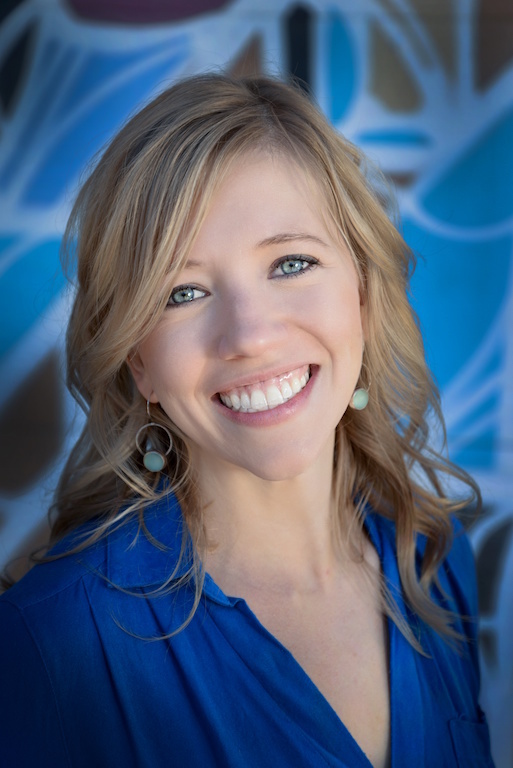 Today we’d like to introduce you to Elyse Guidas. I was born and raised in Phoenix. Over the years, I’ve watched the immense growth of our city and take pride in the strides we’ve made to make our communities more equitable, livable, and diverse. Although we’ve made tremendous progress, I’ve also noticed that many of these opportunities for prosperity aren’t always accessible to everyone, especially those experiencing poverty. I want to change that. My parents divorced when I was young and although my sister and I lived in two loving homes with parents who cared deeply about our well-being, there were times growing up where my mom struggled financially. Sometimes, we relied on food boxes from the local food bank and I remember situations where fresh food was too inexpensive or inaccessible. As I grew up, I realized that our story is not unique and that many families struggle with food insecurity, even more so than we did. I’m eternally grateful for the services that existed for my family and I know that much of the work I do today is motivated by my desire to ensure that all families have access to the services needed to lead healthy, productive lives. In graduate school, I studied public health and urban planning and analyzed the relationship between the development of streets, transportation, grocery stores, other amenities and the overall health of the city’s population. Although, not a new phenomenon, the term “food deserts” (urban areas where access to healthy, fresh produce is more than one mile or more away) was popular in public health discourse and countless studies were conducted that emphasized the ways food deserts contribute to preventable health problems like heart disease, obesity, and diabetes. 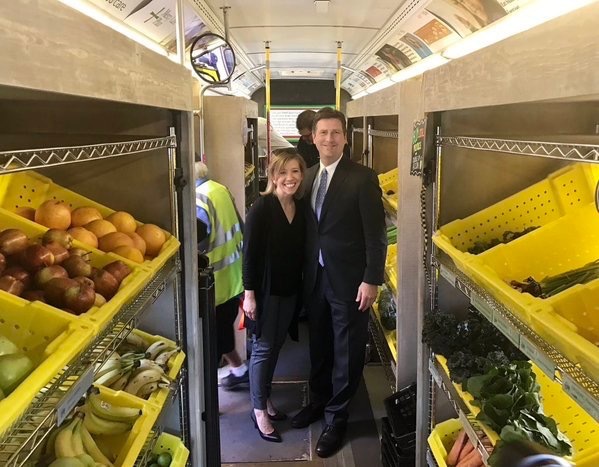 I became acutely aware of how Phoenix’s sprawling neighborhoods contributed to these issues, especially for those living in poverty and I developed a business plan for a mobile market service with the goal of addressing food insecurity in these areas. I graduated with my Master’s degree in 2014 and planned to start my own mobile market program in Phoenix. 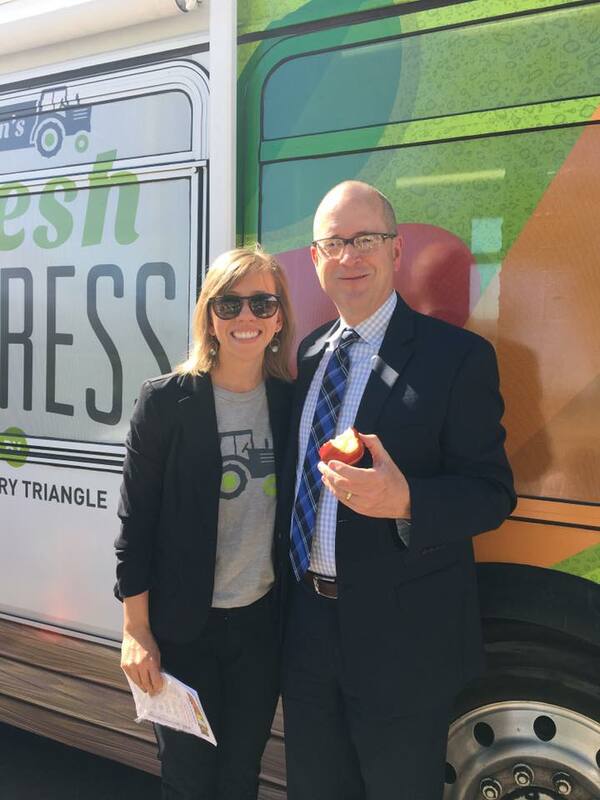 Much to my surprise, I discovered a brand new program called Fresh Express by the Discovery Triangle Development Corporation with the mission to do the exact same thing. I met the founder, Don Keuth, a few months later and joking told him that I hated him for stealing my idea. He informed me that he needed someone to run the program and I immediately changed course and sent him my resume. The Discovery Triangle team accepted and I’ve been with the organization ever since. We’ve had tremendous support from community leaders, businesses, elected officials, and healthcare organizations, and I know that we’ve made a lasting impact within the communities we serve. That said, there is nothing inherently easy about combating food insecurity and issues related to poverty. 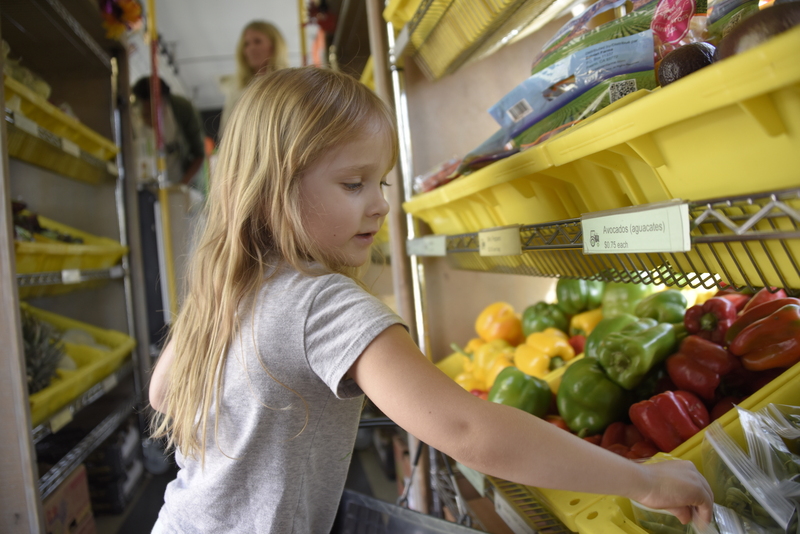 We realized early on that access to fresh, healthy food is such a small component of food insecurity, and that it is going to take a lot more than showing up in food deserts to solve this problem. 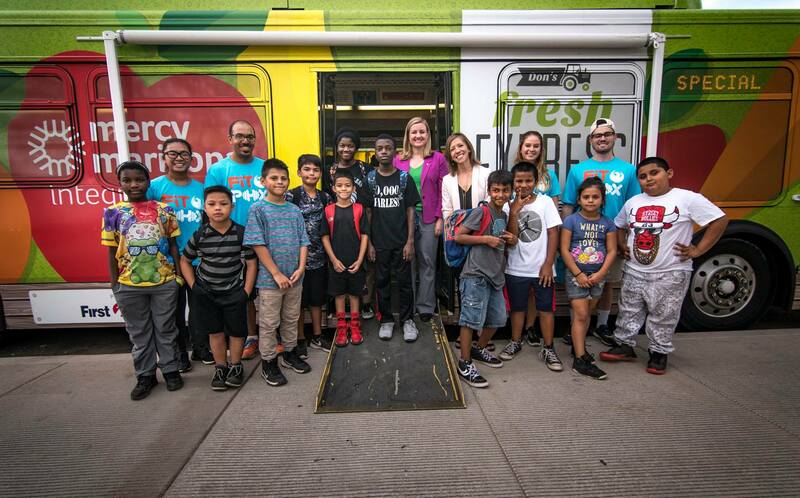 So, we’ve adapted our service over the years to include culturally relevant and respectful nutrition education, health promotion and community outreach to gain our customers’ trust and be most effective in the areas we serve. In my opinion, we’re not doing our job if we aren’t working alongside the community, so in all that we do, we solicit feedback from our customers, the sites where we provide service, and the community at large. While I know that we’re making progress, the “food desert” issue is by no means solved. There’s always more work to be done. Additionally, we operate out of a refurbished city bus, meaning that we’ve had to invest considerable time, energy and resources into making sure our vehicle stays on the road. A few years ago, we were out of service for several weeks to have our fuel tanks re-built. Instances like this have made us think critically and carefully about how we allocate and spend our resources. Again, we’re fortunate to have sponsor and community support, including an incredible partnership with First Transit who generously donates driver time and helps us with general maintenance. The Discovery Triangle Development Corporation (DTDC) was founded in 2010 and deploys its expertise in redevelopment, public financing and incentives and market knowledge to help projects succeed in the Discovery Triangle. The Discovery Triangle, with its central location, easy access to transportation, including Sky Harbor International Airport, existing infrastructure and proximity to a diverse workforce, has become one of the region’s most dynamic economic-growth centers. 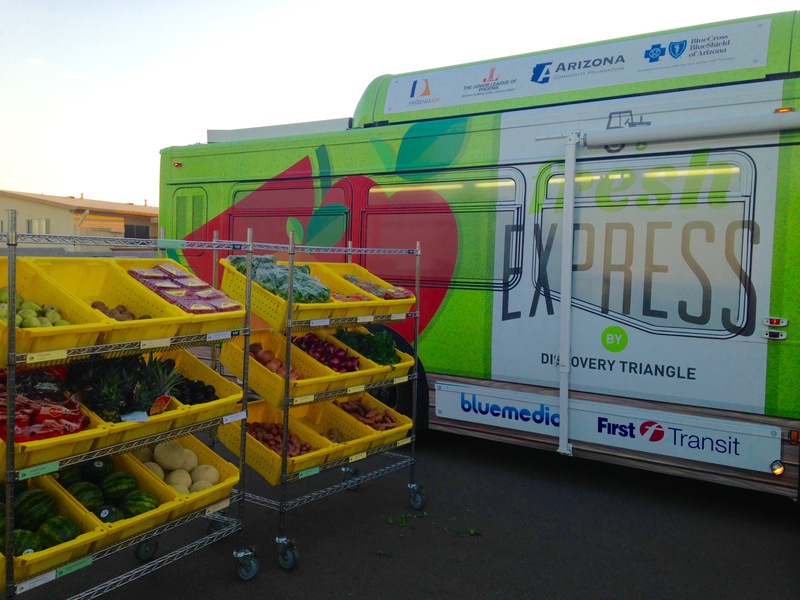 Early on, the DTDC team quickly realized that many of the residents living within the Discovery Triangle region (25-square mile region that connects the downtown areas of Phoenix and Tempe) did not have easy, reliable access to healthy foods. Our late founder, Don Keuth, learned of a mobile market concept in Chicago and developed a similar model that would succeed in the sprawling neighborhoods of Phoenix and Tempe. Don’s vision and tenacity were unparalleled, he worked closely with community leaders at Valley Metro, First Transit and other prominent businesses to refurbish a bus and retrofit it to meet our needs. In April 2014, the Discovery Triangle Development Corporation launched the Fresh Express by Discovery Triangle mobile market service. 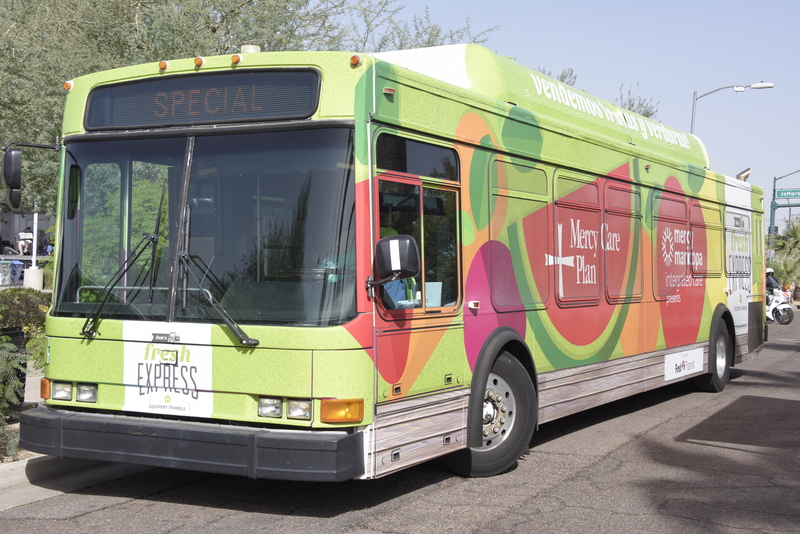 We proudly serve individuals, families, school-age children, senior citizens, educators and many others in neighborhoods throughout Phoenix and Tempe. 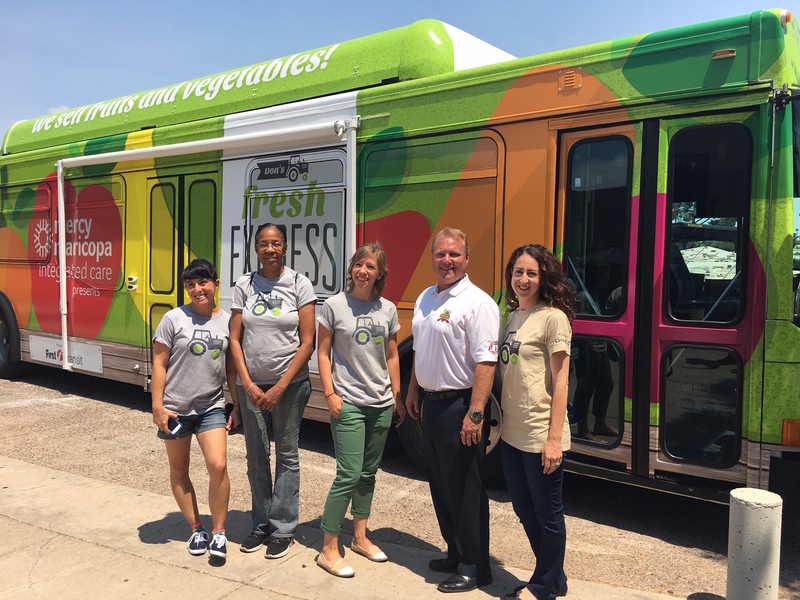 Our mission is to enhance the health of Valley residents by increasing access, availability and affordability of fresh produce and providing health and wellness resources to empower community members to make healthy choices. 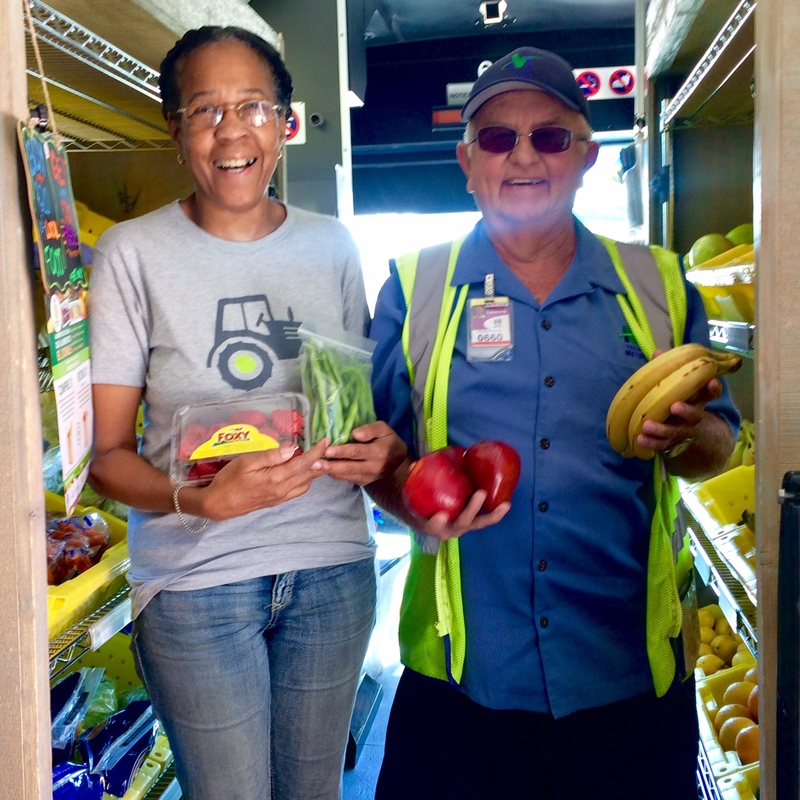 We’re empowering the community to use fresh, healthy produce as a means to create connection, build relationships, and make choices that greatly affect their health and well-being. I was extremely curious, but very shy as a child. My younger sisters were creative and inventive, often pushing me out of my comfort zone with elaborate games and ideas to keep us entertained. I was always cautious, never strayed too far from home, and was always trying to get a seat at the “grown-ups” table. I’ve been extremely close to my dad my entire life and I remember asking him constantly about politics, current events and his work at the Maricopa County Superior Court. I was obsessed with court cases and elections. My childhood dream was to go to college on the east coast and study forensic psychology or political science. Strange dream for a 10-year-old, I know. My parents always used to tell us that we were absolutely going to college, but that there was no way they would be able to pay for it, so I worked really hard in school to get good grades. I remember putting so much pressure on myself in high school, often staying up later than everyone else in my family to complete my homework or study for a test. I volunteered in the community, took on leadership roles at school, and tried really hard for scholarships to offset the cost of college. Although I have many wonderful memories from these years, I look back now and wish I would have had opportunities to just “be a kid.” But my hard work paid off, and I received scholarships that I put toward my undergraduate degree. I fulfilled my dream of going to college on the east coast and attended a state school in New Jersey, where I studied philosophy and political science. I lasted one year (turns out I’m not a fan of winter) and moved back home to complete my undergraduate degree in Political Science and International Studies at Arizona State University. A few years later, I went back to school at the University of Arizona for my Master’s degree in Public Health.